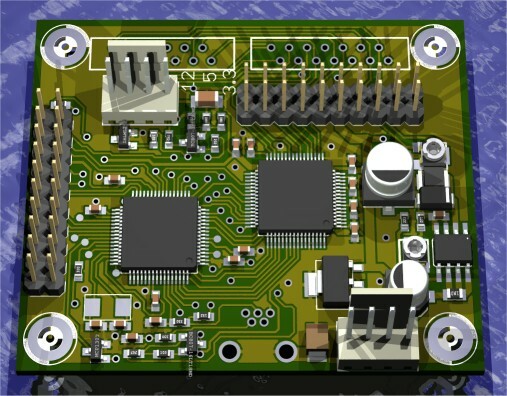 Another project in development is a USB interfaced controller board for graphic displays. As it uses the S1D13700 controller from Epson it can support a maximum resolution of 640×240 in 1 bpp mode. Also supported by the Epson controller are 320×240 max at 2 bpp and 240×160 max at 4 bpp. 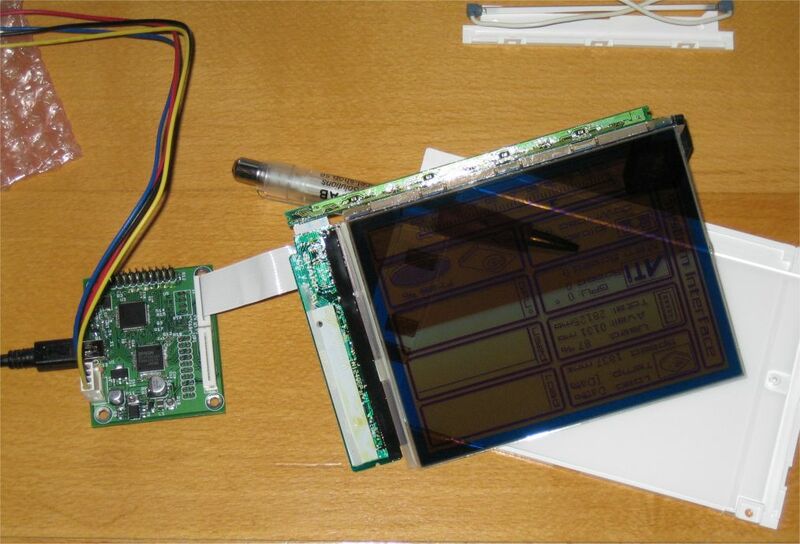 This controller can be used with controllerless LCD panels with 4-bit interface. Included on the board are two common FFC connectors used with these displays and a 2.54mm pitch header for custom wiring. Also included is a DC/DC converter for generating the contrast voltage these displays usually need. This entry was posted on Friday, May 11th, 2007 at 15:44	and is filed under Uncategorized. You can follow any responses to this entry through the RSS 2.0 feed. You can leave a response, or trackback from your own site. It took a little while to get your comment approved as it was hiding between all the spam so I didn’t notice it immediately. 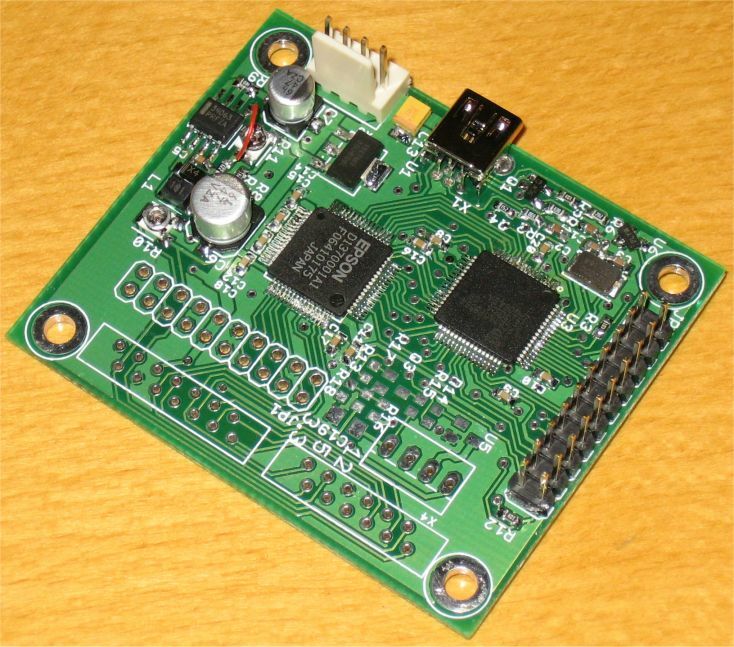 The microcontroller is LPC214x from NXP.